Shaw’s Supermarket in Ludlow will be closing it’s temporary (tent) location at 7 p.m. on MONDAY January 16th and will celebrate it’s Grand Reopening at 7 a.m. on FRIDAY January 27th. During this 10 day closure the temporary store will be removed from the parking lot, making way for a totally renovated and expanded store. What did the Pilgrims eat on Thanksgiving? It is commonly believed that the first actual celebration of the harvest and blessings from God took place in Plymouth in 1621. The festivities lasted three days and included feasting, entertainment, and competitions. For more about the holiday’s history! The first annual Macy’s Thanksgiving Day Parade took place in 1924. That first year, it was known as the Macy’s Christmas Parade. 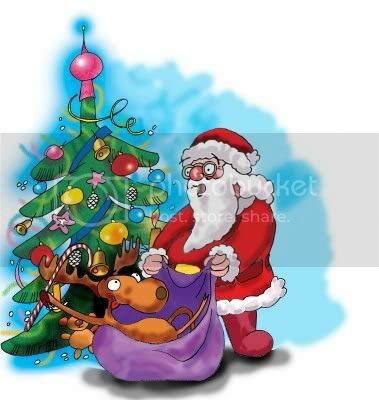 It was created to launch the holiday shopping season. Today, the parade is attended by an estimated three million people each year. Approximately 44 million people around the country watch the parade on television. Other large parades which commemorate the holiday are the IKEA Thanksgiving Parade in Philly, McDonald’s Thanksgiving Parade in Chicago, and the UBS Parade Spectacular in Stamford. Find holiday-themed wallpaper or screensavers here! Want some holiday music to enhance your gathering? Get free, fast downloads of 30+ songs. 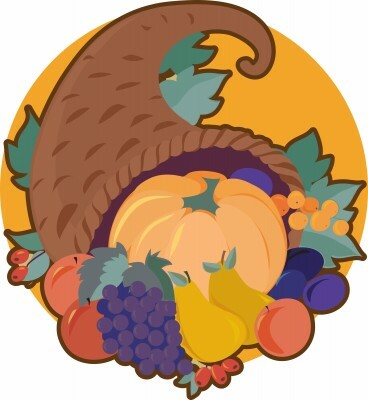 Thanksgiving is essentially a harvest related festival. It celebrates communal harmony. Canada celebrates Thanksgiving on the second Monday in the month of October. India also has a number of harvest related festivals in different regions. Other Thanksgiving traditions around the world. 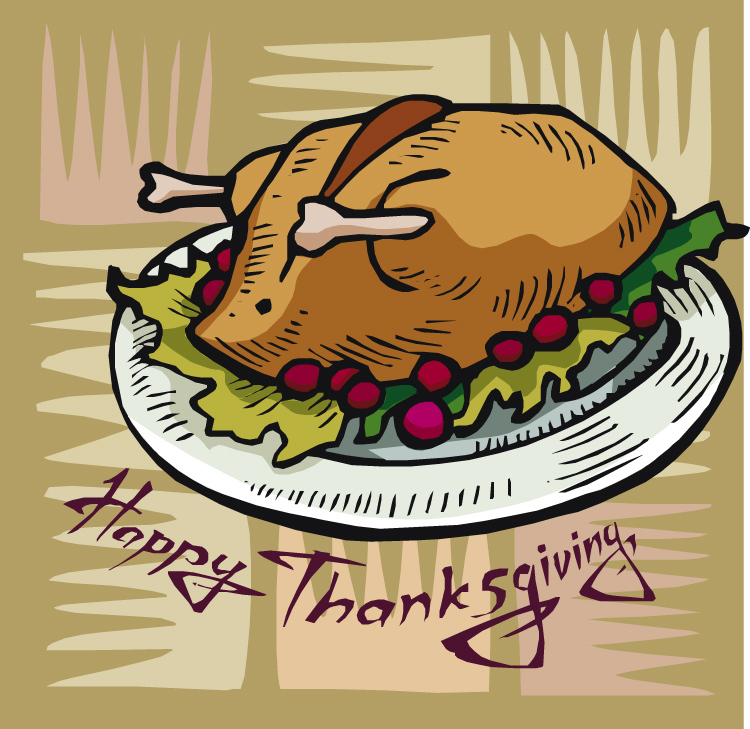 Money-saving tips for Thanksgiving–something we would all be thankful for! 1. Have a BYOD (bring your own dish) celebration. Asking your guests to contribute to the meal is a great way to save on expenses–and on your own cooking time. 2. Keep it simple. Cut down on the number of side dishes you have. A festive table doesn’t have to be extravagant. 3. Serve boxed wine or large bottles of soda. Cans and individual bottles are far more expensive. 4. Use natural items for decorations–leaves, fruit, squash, gourds, pumpkins, and dried flowers from your garden. A large candle and colorful fruit make a lovely centerpiece. 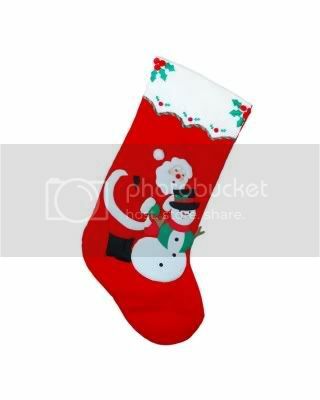 Visit a dollar store for inexpensive holiday items. 5. Check store ads for sales and coupons before you shop for Thanksgiving Day goodies. 6. If time and your schedule allow, bake it yourself. Baking all your pies at one time will also save energy costs. To put the best face on your Ludlow or Rutland VT home and appeal to buyers who follow feng shui principles, keep these tips in mind. 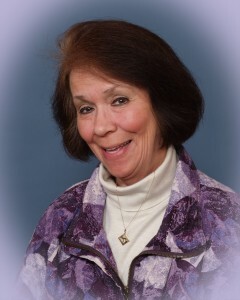 Get more information about selling your Ludlow or RutlandVT home at ISellVermontRealEstate.com. What’s the value of your Ludlow or Rutland VT home? Source: Sell Your Home Faster With Feng Shui by Holly Ziegler (Dragon Chi Publications, 2001) Reprinted with permission Realtor Magazine. You will want to be as prepared as possible when you place your Rutland VT home on the market. I offer a FREE eBook, 450 Ideas…To Help Sell Your Home Faster, which tackles important issues you need to know to make your Rutland VT home competitive in today’s tough real estate market. Through these 450 Ideas you will learn how to capitalize on your investment, reduce stress, be in control of your situation, and make the most profit possible. 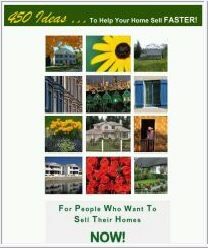 You’ll discover how to avoid financial disappointment or worse, a financial disaster when selling your Rutland Vt home. Using a common sense approach, you get the straight facts about what can make or break the sale of your home. You owe it to yourself to learn how these important tips will give you the competitive edge to get your Rutland VT home sold fast and for the most amount of money. Simply click here, fill out the form and your FREE eBook, 450 Ideas…To Help Sell Your Home Faster, will be emailed to you. The ‘American Recovery and Reinvestment Act of 2009‘ which became law on February 17, promotes energy independence and green jobs through tax credits and government grants. 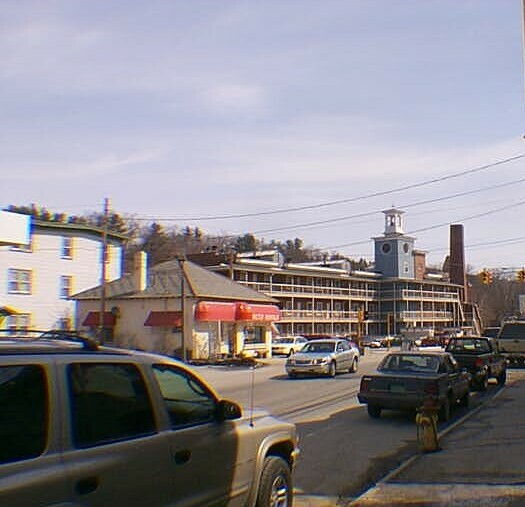 This is part of an effort to make Ludlow VT homes and buildings more energy efficient. $6 billion to state and local governments for energy efficiency and conservation grants for energy audits, retrofits and financial incentives. 30% tax credit (increased from 10%) to homeowners for new furnaces, windows and insulation. $5 billion to modernize the nation’s electricity grid and install smart meters on homes, saving homeowners money. $5 billion for weatherization assistance for low income households. $2 billion for federally assisted housing (section 8) efficiency efforts. This bill is good news for Ludlow VT homeowners wanting to make their homes more energy efficient. Interested in buying a Ludlow VT home? Visit ISellVermontRealEstate.com. Search all Ludlow VT homes for sale. Trulia reports the average listing price for homes on Trulia in Ludlow Vermont, ZIP code 05149, was $646,657, for the week ending Feb 11, which represents a decline of 1.6%, or $10,317, compared to the prior week and a decline of 6.4%, or $44,355, compared to week ending Jan 21. There are currently 208 resale and new homes in ZIP code 05149 on Trulia. The average listing price for homes for sale in 05149 was $646,657 for the week ending Feb 11, which represents a decrease of 1.6%, or $10,317, compared to the prior week. Are you thinking about selling your Ludlow VT home? Get a complimentary Market Analysis.